You might not want to admit it, but deep down every bookstore shopper knows that picking a new book to read is a fairly superficial process. We’re tuned to judge books by their covers, despite the advice of clichés. But what happens when the tables are turned, and the covers are judging us? 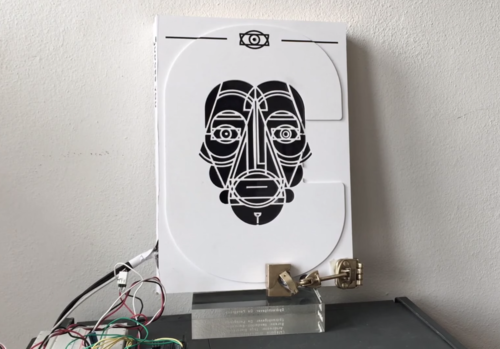 This is the question at hand for Thijs Biersteker, a Dutch artist whocreated a book that uses facial recognition to decide whether you are worthy of reading it. As demonstrated in the video below, the book scans your face for your emotional state; if it senses that you are either too excited or in a sour mode, it will lock itself shut, preventing you from reading in the wrong frame of mind. 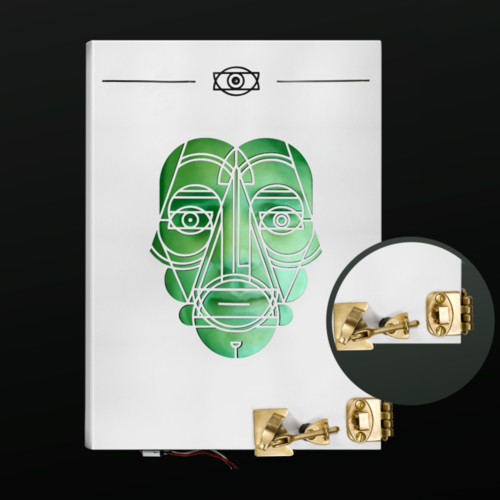 It works like this: You first align your face with the book’s built-in screen, which intentionally resembles the face of a robot out of Fritz Lang's 1927 dystopian film Metropolis. The book uses facial recognition software made by the company Moore. to gauge your general emotions. If you’re overly amped or skeptical of the book, it won’t open. You must maintain a very serious reading expression, demonstrating your intent to focus on the content of the book. Once you’ve jumped that hurdle, it’ll send a signal to an Arduino board (a type of open-source computer hardware) that will then know to unlock the book. And voilà — you’re in. Biersteker, who created the prototype for a 2015 event of the Art Directors Club Netherlands, explained that his thought process behind the project spoke to the anxiety he feels when searching out new literature. He also says that, in practice, it garners an immediate emotional reaction from people. "I think there is a lot of Irony in a book that judges you on judgement by judging you," Biersteker told Yahoo Tech. "The playfulness in combination with the heavy technology makes people smile the moment they see [it]." Biersteker doesn’t have any plans to develop his book lock into a commercial product. But it might be useful to keep in mind the next time you pick up a book, glance at its cover, and think: "But I’m just not that crazy about the color purple."